FortuneJack Casino provides a high-quality cryptocurrency gambling experience for virtual gamblers looking for big wins. It delivers innovative online gaming featuring a huge selection of games, including casino, live casino, dice, Provably Fair games, and sports. FortuneJack is a cryptocurrency only casino that caters to the needs of newcomers and veteran players who want to enjoy the Bitcoin gambling experience. With an impressive array of games, unparalleled customer service, an innovative Provably Fair gambling experience, and excellent bonus offers and promotions, this fresh 2018 venue is a pioneer in the iGaming industry. 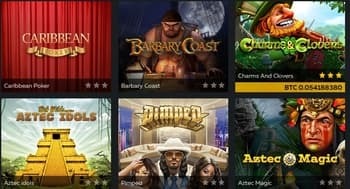 This casino review will start by telling you about the impressively large selection of games provided by a number of different providers here, including Netent, Booming Games, XPG, Evolution Gaming, evoplay, Bgaming, Endorphina, Igrosoft, Tomhorn, Amatic, Quickspin, Playson, Pragmatic Play, Microgaming, and more. The slots section of the Casino menu displays all the titles organised by game category: all, new, jack picks, jackpots. Blackjack, roulette, video poker, scratch, and more games are also on display in the same menu. All games can be played for free and this is a plus for new gamblers. The Live Casino option hosts titles like Live Wheel of Fortune, Live Caribbean Poker, Live Lucky 7, Live War of Bets, Casino Floor Casino International, Turbo, Dice Duel, Live First Person Blackjack, Auto Roulette Speed 1, and more interesting titles, on top of the classic roulette, baccarat, poker or blackjack games we are used to. There is also a classic-style bitcoin “dice” game that enables gamblers to choose their own odds and hit instant wins. The more recently added sports betting feature welcomes passionate punters with a large number of sports to choose from, as well as top leagues and global sports events worth wagering on. American, fractional, and decimal odds are available. The provable fairness technology that FortuneJack Casino uses lets players enjoy fair gaming every time. FortuneJack Casino has an exclusive VIP club for their highest betting high-roller players. The club is invite-only and worthy players can enjoy the benefits of a personal VIP manager, better comp points, exclusive games and bonuses and higher betting limits. FortuneJack Casino is a cryptocurrency only casino. This means they do not support traditional currencies such as Dollars and Pounds. In order to enjoy the special bonuses and deals here, you can use the main banking options available for making deposits and withdrawals on the site: Bitcoin, Litecoin, Dogecoin, Ethereum, Dash, Monero, Bitcoin Cash, and zCash. One of the most prominent features of the FortuneJack Casino is its affinity for the bitcoin. The venue relies on the virtual coin – and its equivalent alternatives – for performing financial transaction. This automatically means there is no need for new players to provide any personal or financial information when registering their new accounts. 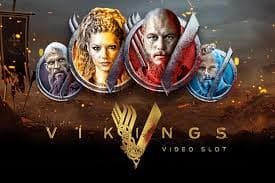 Players can take advantage of the no deposit bonus here consisting of 25 free spins, but once they start making deposits, the rewards are even greater. 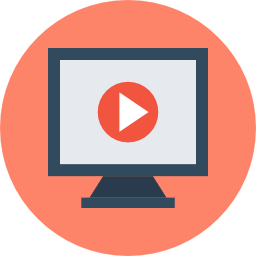 The website is protected with the help of SSL encryption to ensure high levels of security and keep account credentials away from hackers and other virtual threats. The casino also uses the standard of provably fair, which is a common feature of bitcoin casinos that enables gamblers to know for a fact that all the games they are playing are completely random and 100% fair. FortuneJack.com is operated by Nexus Group Enterprises N.V., a company registered and established under the laws of Curaçao. Nexus Group Enterprises N.V. is licensed and regulated by AntillePhone N.V. Nexus Group Enterprises N.V.'s, registration number 139781. FortuneJack Casino has a 24/7 customer support service available seven days a week. The easiest way of getting in touch with them is via their live chat interface – an instant way of talking to a casino representative and there is an email contact option available. There is also a dedicated support center section with detailed help and support articles so it could be useful to start there if you have any issues. Join FortuneJack Casino today and try one of the safest and most innovative cryptocurrency online gaming experiences currently available. The casino has a wide array of casino and deposit offers, loyalty, hot slots, and LeaderJack promotions for new and loyal players. Sign Up for free and get 25 free spins. Players need to verify their mobile number in order to receive this no deposit bonus upon registration. The free spins must be used by 23:59 BST on the same day they were issued. Maximum winnings paid: 50 mBTC. The wagering requirements are 40x. Get Loads More! Receive: 50-50-100% brings players up to 3.5 BTC in extra bonus money. They become eligible to get a 50% deposit bonus on the second and third deposits worth up to 1 BTC each. 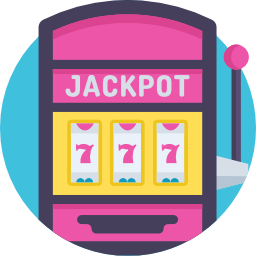 Gamblers can then receive a 100% deposit bonus on their fourth reload, worth up to 1.5 BTC. Minimum deposit: 0.002 BTC. Wagering requirements: 40x. 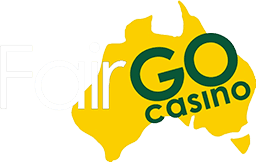 Cashback up to 20% of gamblers' losses are given at the end of each month. Minimum deposit: 0.1 BTC bonus-free. Players must go to MY ACCOUNT -> BONUSES -> CLAIM in order to make sure the cashback reaches their account. The bonus has no wagering requirements and it is valid for 10 days. Players must have lost 80 percent of their monthly deposit must in order to receive the bonus. Players must not have any pending withdrawals in order to claim the cashback offer. 50% Up To 3.5 BTC/ Altcoin Eqv – this is a bonus that is offered to players who make fresh deposits on a weekly basis. Milestone bonuses for levelling up on the Loyalty Ladder are also available. Wednesday is Dice Day! Players receive a 0.7% house edge and get a chance to roll the dice 7 times for a chance to win a jackpot. The offer fives players a 99.3% return. Hot Slots: The first 50 players who place the biggest bets on slots Sunday-Saturday win between 10 FS and 200 mBTC. No wagering requirements, only more fun games to play for free. Leader Jack features a Weekly Prize pool of 750 mBTC and 500 free spins. Players need to wager real money on their favourite games of Blackjack and earn points on LeaderJack. The top 50 players win a slice of the prize pool, no wagering requirements.